fix – M changing lives with images. The M6 have a slight vertical alignment issue. What happens when you have a camera that you going to use seriously for some shoot and it has a minor issue? I tell you how it feels, it feels like an itch that can’t be scratched! So after looking up some popular local photography figures in town, i was served the advice of sending it to Germany or Singapore. Ouch. Mr.John Wayne here have noted how he fixed the same problem using a tool that he fashioned himself. You know what? These videos are almost useless, for me at least. They failed to understand that a layman with just some technical background won’t be able to understand the most simple and the most important question of all. Why does such a tool would work? Some enterprising chinese guy obviously saw this opportunity and is selling a similar tool for USD 64, its probably worth just USD 10 at most, but since its a specialized tool, i can understand why some folks would pay for it. There are two (2) post that eventually helped me. The keyword here that really helped is the word “fulcrum”. 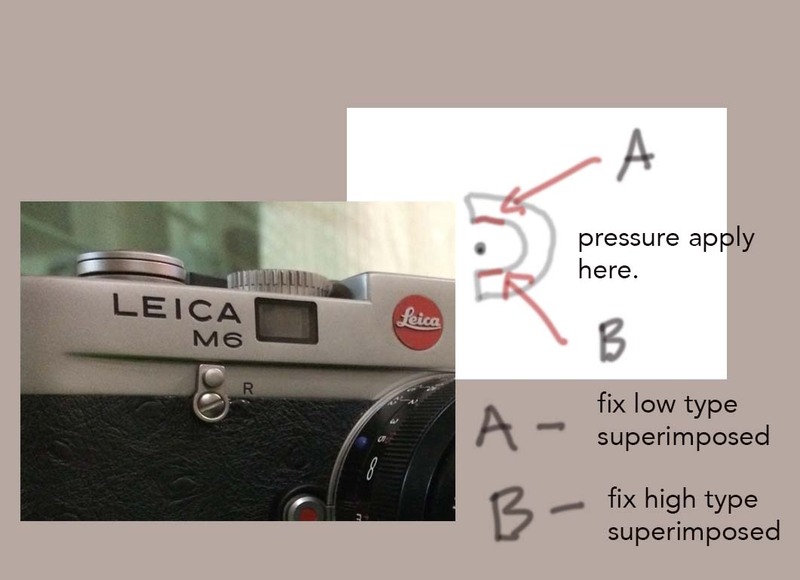 I will explain later why this is the defining word in understanding how to tweak the rangefinder. 2. Mingthein This guy is a genius (literally without sarcasm) and he replied my mail and by saying that he didn’t even use that tool. This hint and (1) gave me all the answers i needed. Ok, read this carefully. First you open the logo by pushing the letters “L”, the horizontal tail of “L” and then push “a” from clockwise. It doesn’t really matter which direction u push but push just slightly with ur fingernails or something plastic that won’t scratch your M6 body. Basically your are “persuading” the logo to come out, its just a tough sticker, but dont “pry” it or u will destroy that sticker. After pushing and relaxing for sometime in various directions, it will just come off. Refer to the (2nd) video in the top, you will see how it looks like, a craggy hole and how the special tool looks like. It doesn’t bother to explain why the tool works, just looks like magic. I am not going to tell you how to create a tool or what to use and its not for the faint hearted. I am going to explain why the tool works and why you don’t need the tool. Do this at your own risk, or send to Germany. These are written for educational and knowledge sharing. Inside that red dot, you will see this horizontal “U” with a dot. Basically u just needed to push either “up” (A) or “down” (B) using whatever tools. The official tool contains an insertion that will enter that hole and turning it does nothing except provide a “FULCRUM” to allow the metal to push (A) or (B). Thats it! I can’t believe how this was missed out in the videos and pretty much most of the posts i read. Looking at that tool you would think that the hole contains a screw or something, it doesn’t. At the end, i did’t use any special tools or crafted anything special. I took ordinary stuffs that took me 5 minutes to create and pushed the right position. How do you know if your camera is focusing perfectly? Now, lately i been having issues trying to bring back my SD15 to life. 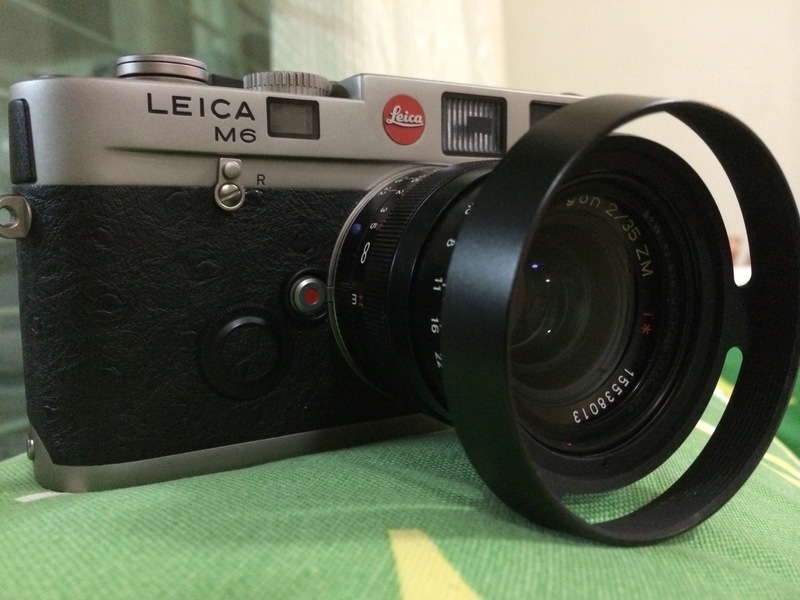 The main problem is that it has back focusing. So i used the 1.5 mm Allen key to clockwise the screw that is found nearest to the sensor location after the mirror is up. Problem is that there is no good way to test the focusing once u tweak it, using rules, printed texts and books placed in different depth all yield inconsistent results.. I was surprised to discover this article that is PERFECT. It has a chart that you don’t even need to print, in fact u must not print, you just open it up on your LCD/LED monitor and you shoot at it with your camera and it will tell you how accurate your focus is. The chart is not some text chart or those that gives you a similar optometrist kinda test, its a constructed chart that somehow shows up only clearly when your sensor focusing is correct. Please head on down the link below and do your test.